A special bond was formed and the daily ritual of the commute was interrupted recently in New York City thanks to a pair of NPR listeners. Every month, NPR invites listeners to contribute to a themed photo project via Instagram. For the month of October this year, it was all about the daily commute. 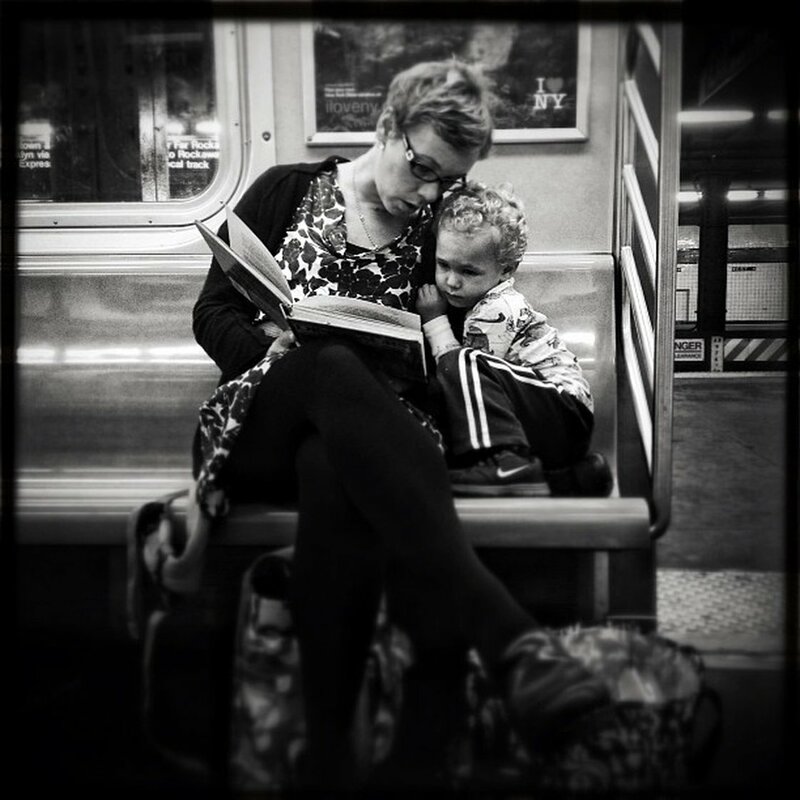 Submissions of commutes of all types poured in and some were featured on NPR’s Picture Show blog, including the attached shot of a mother and son reading a book on a New York City subway train. The mother, Megan Freund, was brought to tears when she found the photo posted online by amateur photographer Jabali Sawicki. These moments are precious. We read, we play, we talk. The train can be incredibly public (try disciplining your toddler in front of a train full of commuters) and intensely private, as can be seen in this amazing photo I didn’t even know was being taken. The pair have built the most unlikely of bonds, which you can hear about by listening to the complete NPR story. This entry was posted in Around the nation and tagged Instagram, NYC. Bookmark the permalink.